23andMe is Teaming Up With A Pharma Company. You Shouldn't Be Surprised. BIG MONEY, BIG PHARMA. Want to unlock the secrets hidden in your DNA? Go for it, as long as you’re prepared to have those secrets shared with Big Pharma. On Wednesday, 23andMe announced a four-year collaboration with multi-billion dollar British pharmaceutical company GlaxoSmithKline (GSK). 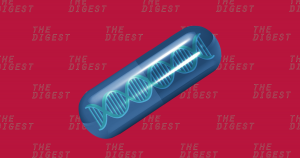 For the duration of the deal, 23andMe will only collaborate with GSK on any drug development projects. It will provide GSK with access to its database of genetic information, as well as its analysis tools; GSK will contribute its expertise in discovering, developing, and commercializing drugs. As part of the deal, GSK bought $300 million in equity in 23andMe. The companies will co-fund any projects together, splitting any proceeds from newly discovered drugs or treatments. But many of those previous partners were academics or worked at nonprofits, such as the Michael J. Fox Foundation for Parkinson’s Research. Now, for the next four years at least, only one for-profit company will have permission to access 23andMe’s database — it’ll essentially have a monopoly on the wealth of information 23andMe has collected since its inception. As 23andMe CEO Anne Wojcicki wrote in a blog post published Thursday, customers have the option to opt-in or opt-out of sharing their data at any time, so someone who opted-in a year ago could choose to opt-out in light of this new deal with GSK (though the idea of ever really stopping the spread of your genomic data once you’ve shared it might be a pipe dream). THE BOTTOM LINE. Whether customers choose to opt-in or not, the idea of two for-profit companies teaming up to trade personal information about one company’s customers in this way doesn’t sit right with at least one expert. The key word in all of that is “for-profit.” 23andMe never marketed itself as anything other than a for-profit company, so if you’re surprised it’s now selling access to your DNA profile to the highest bidder, maybe you just haven’t been paying attention. More on sharing genomic data: Think Deleting Your Facebook Profile Is Hard? Try Deleting Your Genomic Data.